Thank you for attending my class today. Please prepare the following two assignments for 14 December 2017. You will be asked to actively participate. Read James Somers's `The Coming Software Apocalypse,' which appeared in The Atlantic on 26 September 2017. Be prepared to discuss this essay in front of the classroom (without slides). Surprise all of us with your thoughts & insights on software! 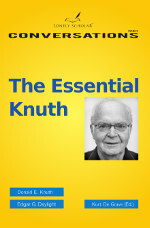 What makes software so special in the history of technology? In media history? Give reasons to use or eschew an Internet of Moving Things. Compare with an Internet of Static Things (e.g., fridges, ovens, televisions). Read the following two papers and be prepared to discuss them (without using slides). T. Haigh. Actually, Turing did not invent the computer. CACM, Vol. 57, No. 1, pp. 36-41, 2014. E.G. Daylight. 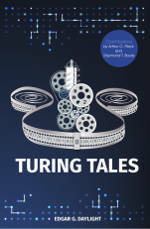 A Turing Tale. CACM, Vol. 57, No. 10, pp. 36-38, 2014. Why does the Western World need a hero, such as Alan Turing? 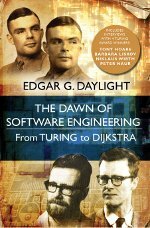 Give reasons why Turing did or did not invent the computer. Give reasons why, in hindsight, Turing was special in his life. Is a computer a Turing machine? Is your cell phone a Turing machine? Is it dangerous to view everything as a computer? As a Turing machine? 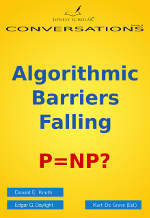 As an algorithm? As software? Why should we care anyway? What is software according to you? Is it like maths? Like music? Something else? What is a software error according to you?